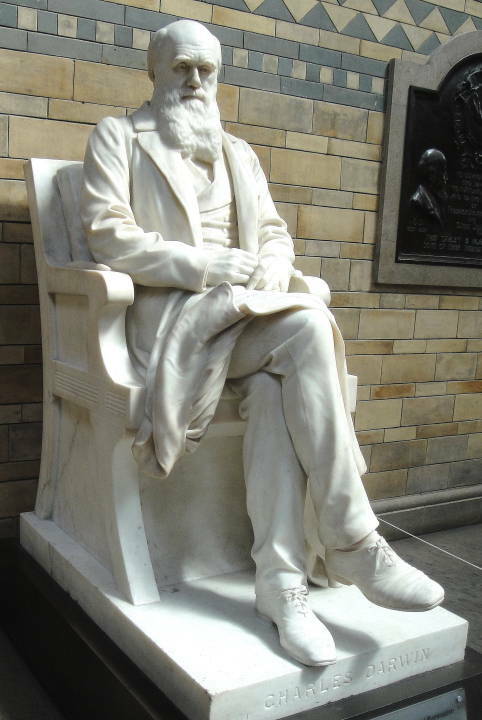 Darwin Day is a celebration to commemorate the anniversary of the birth of Charles Darwin on 12 February 1809. 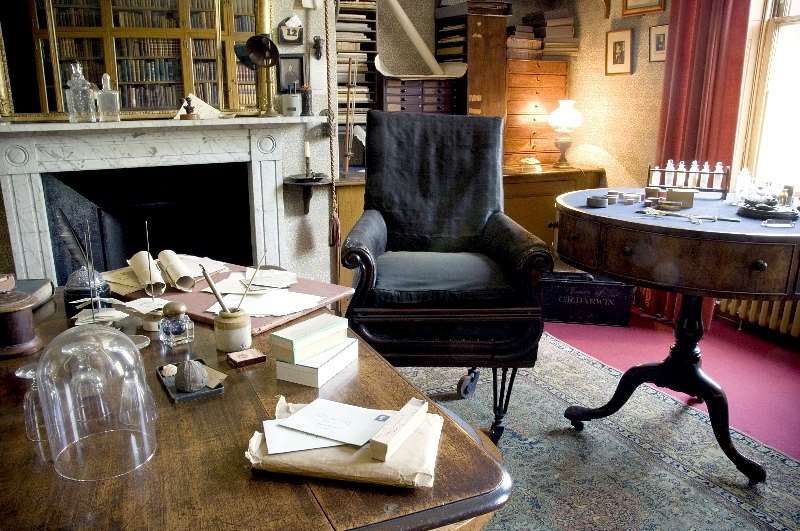 The day is used to highlight Darwin’s contribution to science and to promote science in general. The celebration of Darwin’s work and tributes to his life have been organized sporadically since his death on 19 April 1882, at age 73. 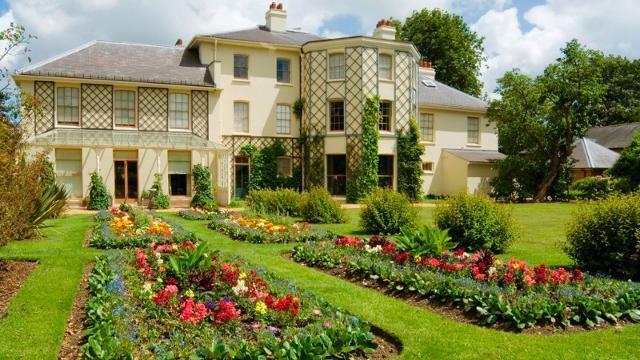 Events took place at Down House, in Downe on the southern outskirts of London where Darwin and members of his family lived from 1842 until the death of his wife, Emma Darwin, in 1896. I am heartily sick of hearing morons like Sheldon Cooper on Big Bang say things like, “I am more evolved than most people.” Darwin, and all later biologists, used the word “evolve” as a synonym of “change over time.” It does not contain any sense of getting better or progressing. Darwin neither said nor believed in the “survival of the fittest.” If only the fittest survived there would be only one species or individual left. The word “fit” in Darwinian terms means, “suited for the environment.” Lots of animals are fit: snails, cockroaches, lions, ants . . . They are fit in the niche they occupy. Darwin neither said, nor believed, that humans evolved from apes or monkeys. 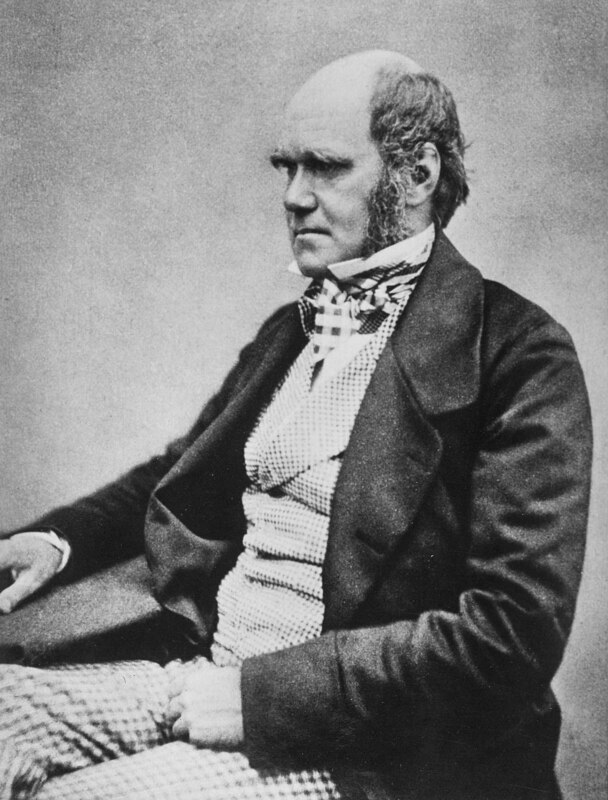 He believed that modern apes and monkeys share a common ancestor with humans. All living things share a common ancestor somewhere along the line. 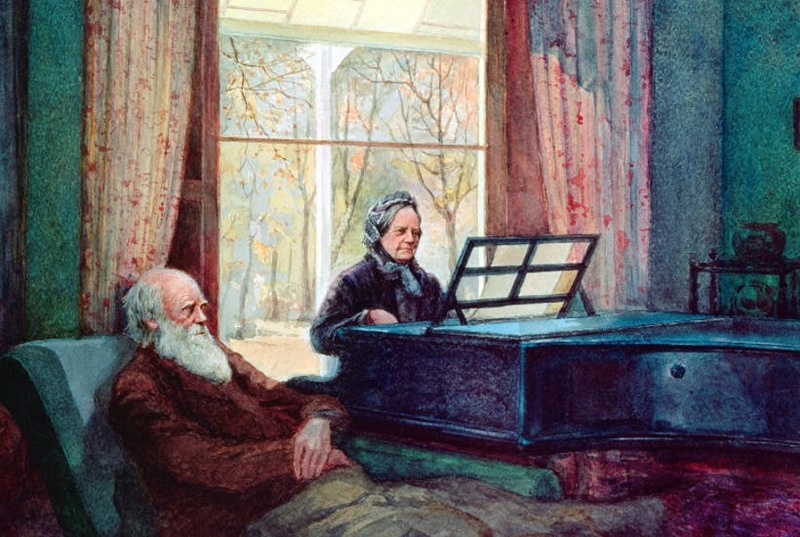 In 1909, more than 400 scientists and dignitaries from 167 countries met in Cambridge to honor Darwin’s contributions and to discuss vigorously the recent discoveries and related theories contesting for acceptance. This was a widely reported event of public interest. Also in 1909, on 12th February, the 100th birth anniversary of Darwin and the 50th anniversary of the publication of On The Origin of Species were celebrated by the New York Academy of Sciences at the American Museum of Natural History. Scientists and academics sometimes celebrated 12th February with “Phylum Feast” events—a meal with foods from as many different phyla as they could manage, at least as early as 1972, 1974, and 1989 in Canada. In the United States, Salem State College in Massachusetts has held a “Darwin Festival” annually since 1980, and in 2005, registered “Darwin Festival” as a service mark with the US Patent and Trademark Office. The Humanist Community of Palo Alto, California, was motivated by Dr. Robert Stephens in late 1993 to begin planning for an annual “Darwin Day” celebration. Its first public Darwin Day event was a lecture by Dr. Donald Johanson (discoverer of the early hominid “Lucy”), sponsored by the Stanford Humanists student group and the Humanist Community on 22 April 1995. The Humanist Community continues its annual celebration of Darwin, science, and humanity, on 12 February. Independently, in 1997, Professor Massimo Pigliucci initiated an annual “Darwin Day” event with students and colleagues at the University of Tennessee. The event included several public lectures and activities as well as a teachers’ workshop meant to help elementary and secondary school teachers better understand evolution and how to communicate it to their students, as well as how to deal with the pressures often placed on them by the creationism movement. In 2015, Delaware’s governor Jack Markell declared February 12 “Charles Darwin Day”, making Delaware the first state in the US to formally mark the occasion. In the late 1990s, two Darwin enthusiasts, Amanda Chesworth and Robert Stephens, co-founded an unofficial effort to promote Darwin Day. 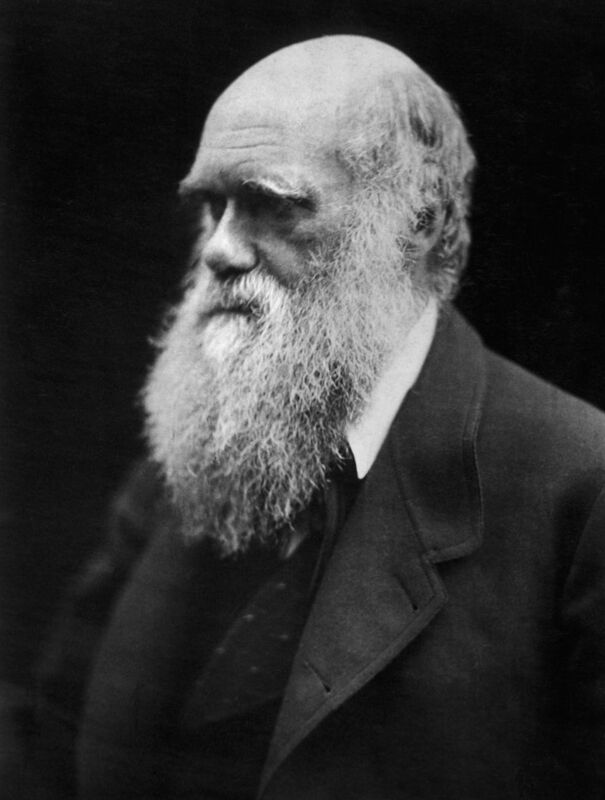 In 2001, Chesworth moved to New Mexico and incorporated the “Darwin Day Program”. Stephens became chairman of the board and President of this nonprofit corporation with Massimo Pigliucci as Vice-President and Amanda Chesworth as member of the Board, Secretary, and Executive Director. 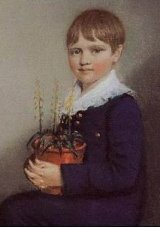 Stephens presented the objectives of the organisation in an article titled “Darwin Day An International Celebration.” In 2002, Chesworth compiled and edited a substantial book entitled Darwin Day Collection One: the Single Best Idea, Ever. The objectives of the book were to show the multidisciplinary reach of Charles Darwin and to meld academic work with popular culture. In 2004, the New Mexico corporation was dissolved and all its assets assigned to the “Darwin Day Celebration”, a non-profit organization incorporated in California in 2004 by Dr. Robert Stephens and others. Darwin Day Celebration redesigned the Web site, www.DarwinDay.org from a static presentation of information about the Darwin Day Program to a combination of education about Darwin and the Darwin Day Celebration organization, including automated registration and publication of planned and past celebratory events and the automated registration of people who want to receive emailings or make public declaration of support for Darwin Day. 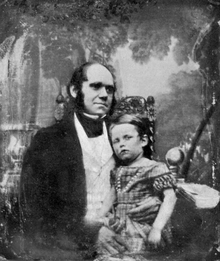 The website is now operated by the International Darwin Day Foundation, an autonomous program of the American Humanist Association. Darwin Day is also celebrated by the University of Georgia. The event is co-sponsored by the Franklin College of Arts and Sciences, Division of Biological Sciences, Odum School of Ecology and the departments of cellular biology, plant biology, and genetics. Mark Farmer, a professor and division chair of biological sciences and organiser of Darwin Day at UGA. Farmer said he got the idea from the International Darwin Day Foundation and brought the event to UGA in 2009 in time for the 150th anniversary of the publication of Origin of Species and the 200th anniversary of Darwin’s birth. The University celebrates the impact that Darwin’s work had on the scientific community through a series of lectures around campus. Various events are conducted on Darwin Day around the world. They have included dinner parties with special recipes for primordial soup and other inventive dishes, protests with school boards and other governmental bodies, workshops and symposia, distribution of information by people in ape costumes, lectures and debates, essay and art competitions, concerts, poetry readings, plays, artwork, comedy routines, re-enactments of the Scopes Trial and of the debate between Thomas H. Huxley and Bishop Samuel Wilberforce, library displays, museum exhibits, travel and educational tours, recreations of the journey of the HMS Beagle, church sermons, movie nights, outreach, and nature hikes. The Darwin Day Celebration Web site offers free registration and display of all Darwin Day events. 2009 marked an important year for Darwin Day celebrations. 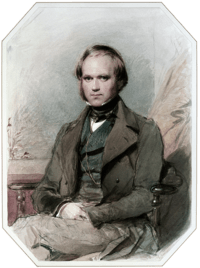 The year was the 200th anniversary of Darwin’s birth and it also marked the 150th anniversary of the publication of Darwin’s On the Origin of Species. Events were planned, with the most prominent celebrations in Shrewsbury, the University of Cambridge and at the Natural History Museum in London. Darwin’s alma mater, Christ’s College, Cambridge, commemorated the bicentenary with the unveiling of a life-sized bronze statue of the Young Darwin, sculpted by their former graduate Anthony Smith. 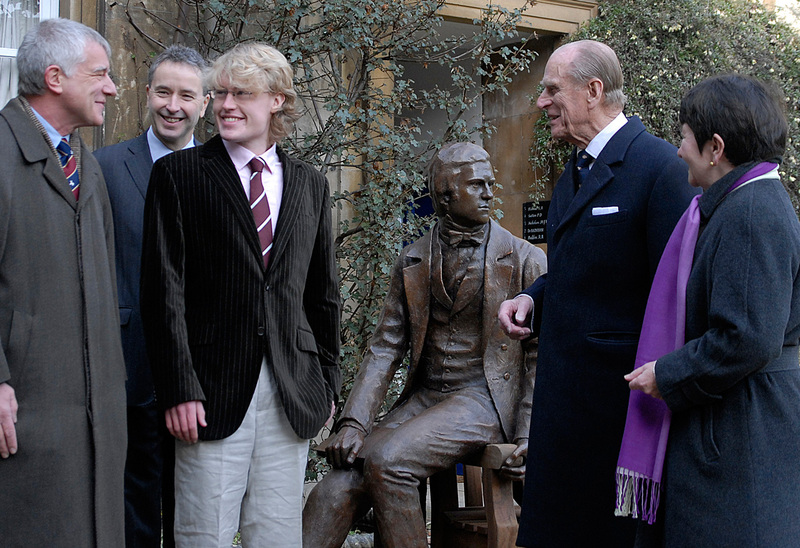 HRH Prince Philip unveiled the statue and it was later shortlisted for the Marsh Award for Excellence in Public Sculpture 2009. Let’s have some fun with primordial soup as our recipe. 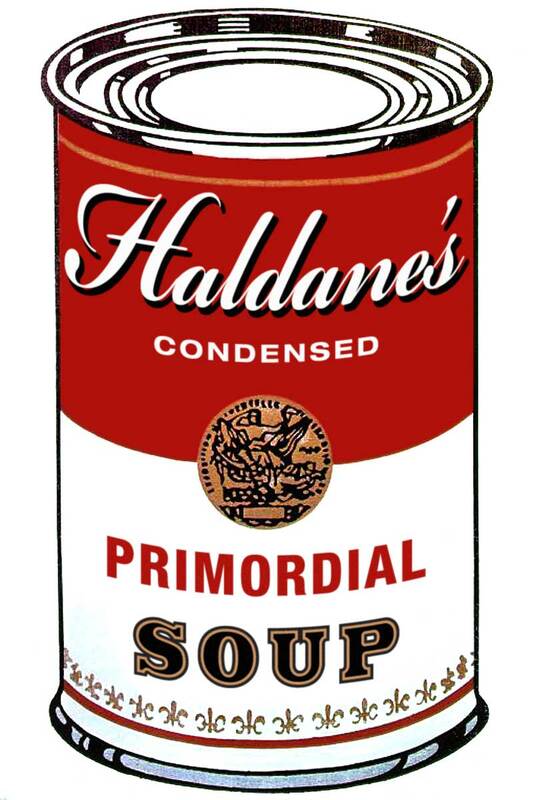 The original primordial soup notion came about when Russian chemist Alexandr Oparin and English geneticist John Haldane each came up with the idea independently. It had been theorized that life started in the oceans. Oparin and Haldane thought that the mix of gases in the primordial atmosphere combined with the energy from lightning strikes could spontaneously create amino acids and other organic compounds in the oceans. 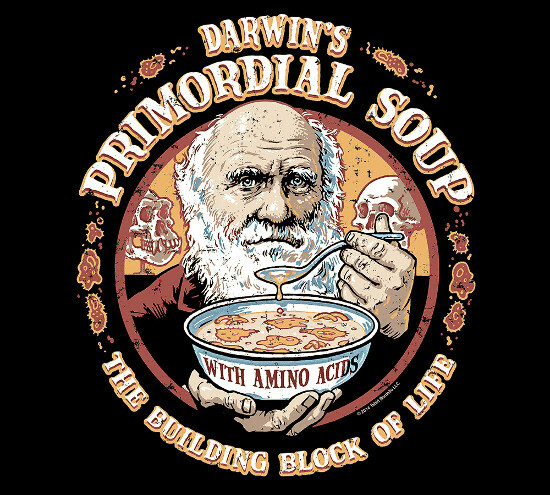 Amino acids are the building blocks of life (particularly DNA) This idea is now known as the “primordial soup” model. In 1953, US scientists Stanley Miller and Harold Urey decided to test this theory. They combined the reducing atmosphere gases in the amounts that were hypothesized the early Earth’s atmosphere was thought to have and simulated an ocean in a closed apparatus. 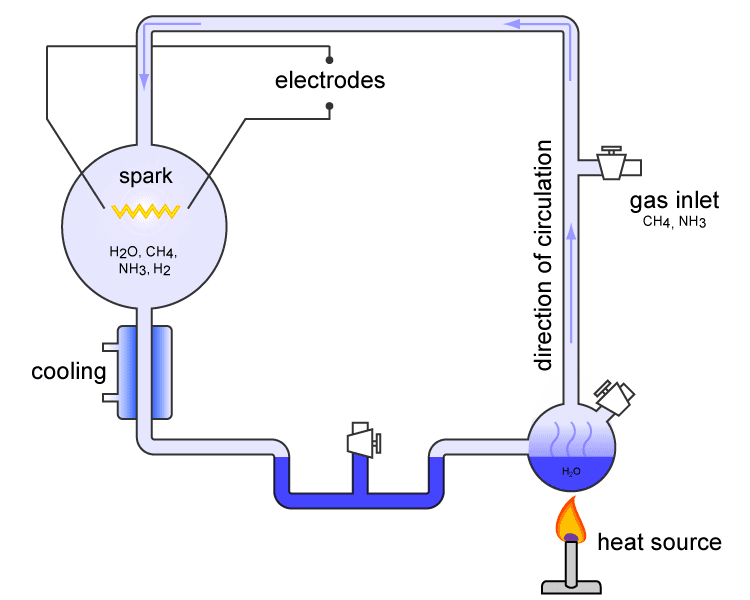 With constant lightning shocks simulated using electric sparks, they were able to create organic compounds, including amino acids. In fact, almost 15% of the carbon in the modeled atmosphere had turned into various organic building blocks in only a week. This ground-breaking experiment seemed to have proven that life on Earth could have spontaneously formed from non-organic ingredients. There are numerous problems with the experiment, but I’ll cut to a recipe for “primordial soup” taken from here: http://www.runeverydayjanuary.com/recipes/2015/12/11/patrick-holfords-primordial-soup-with-hummus-on-rye-bread-and-a-rocket-salad If you are not a Brit, “rocket” is arugula. Heat the oil in a large saucepan and gently sauté the onion and garlic for a few minutes until they start to soften but do not brown. Add the carrot, sweet potato, ginger, turmeric and stock powder. Just cover with boiling water and bring to the boil. Cover and simmer for about 15 minutes or until the vegetables are soft. Add the red pepper and coconut milk. Blend the soup with a hand blender until smooth and creamy. Ladle into bowls and serve with toasted rye bread spread with hummus and a rocket salad dressed with olive oil and balsamic vinegar.